Hamil-Swag: Accessories – It's Hamiltime! 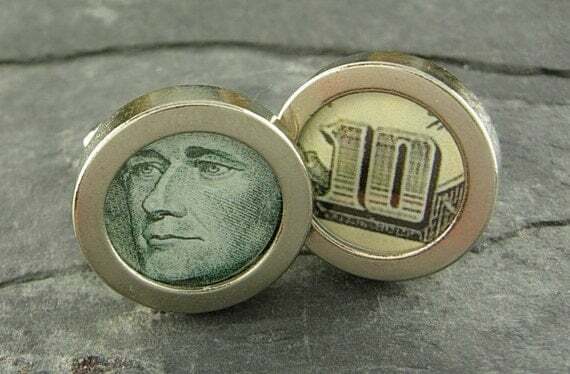 2) Cufflinks– Hamilton $10 bill cufflinks available from Etsy. Because nothing projects financial success like going into an interview with Hamilton cufflinks.